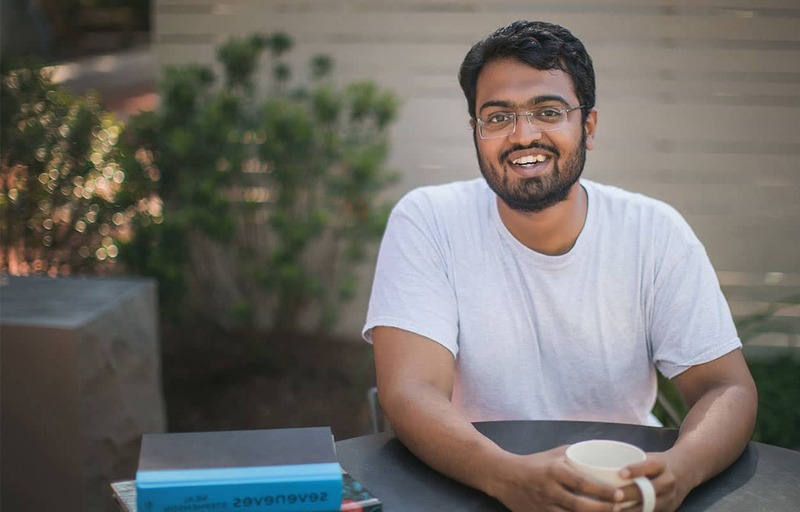 Prerit Anwekar had decided he wanted to be a data scientist. He was attending Indiana University doing his masters. "I realized that to do machine learning, I needed to focus on Python, but I was only being taught R."
After trying to learn Python from a book, he was discouraged. "Learning using a book is really taxing. It takes lots of time, and the code examples are often outdated." When he started learning on Dataquest, everything changed. "Dataquest makes it easy. Because I can learn everything in one place, it helped me to learn faster." "Dataquest doesn't just teach you how to use algorithms, it teaches you how the algorithms actually work." The Dataquest community meant that Prerit could always work through problems. developer to a data scientist. "I made lots of friends there. We would talk and share articles and figure out problems together. The slack community was somewhere I always knew I could get help when I needed it." Prerit identified Dataquest's guided projects as being key to his success in finding a job. "Once I completed the missions, the guided projects gave me a challenge. They gave me the confidence to know I could do this on my own. I created a website to showcase my projects, which came in handy when I started to look for a job." "The companies I interviewed with me really liked my projects." Prerit also credits Dataquest with giving him confidence in his interviews. "They asked me questions about Python, and I was able to answer confidently. I wouldn't have been able to do that without Dataquest." He is now a Data Scientist at a data and analytics consultancy, helping companies solve business problems with data. Prerit's advice to budding data scientists is clear: "Subscribe to Dataquest. I wish I had found it earlier." "I wouldn't be where I was without Dataquest."